AppleCare does not cover breakage or liquid damage, however they are cool enough to help you avoid a $699 replacement. They are giving us a $199 three day swap with a $30 ‘convenience’ fee. 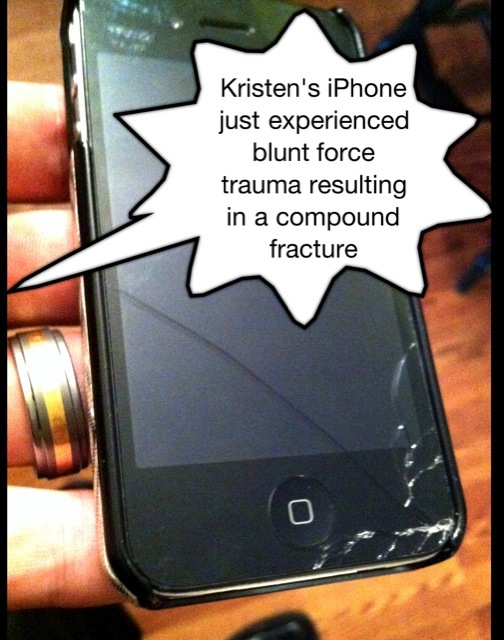 Kristen should be back in business in a few days. Sure beats driving to the Apple store in Columbus.